Geoffrey Pickens (pictured), segment director of men’s and shave prep for APAC at Energizer Personal Care, said one hurdle he had to face when coming up with a content marketing strategy for the Energizer shaver personal care division in China, was having to convince his Western counterparts of some of his creative ideas. Speaking at Marketing’s Content 360 conference, he said that most of the time, the response to new ideas (from global) would be one which was positive, but then he would be quickly shut down by being told it would not work in the Western market. However, he insisted that having a localised strategy in marketing is key for any creative ideas’ success. He added, “often regional and global creative ideas fail because of a lack of local input”. He explained that when his brand of shavers kicked off its marketing agenda to use a Bruce Lee impersonator named “Smooth Lee” to reach the youths, the idea was met with some resistance from the other markets thinking it was not adaptable enough. However, over the past three years, the idea has been recreated in eight countries. Brand awareness for the master brand spiked from 15% to 35% and sales increased more than 21%. “For content marketing to effectively work, all it takes is one brilliant creative idea,” he said. He also added 91% of global consumers would switch brands for the same price and quality if they felt that a brand supported a purpose beyond a business goal. Hence, brands need to actively listen to what the consumers’ bigger problems are and create great creative ideas focused on making their lives better. All these will ultimately serve to bring your brand to life. 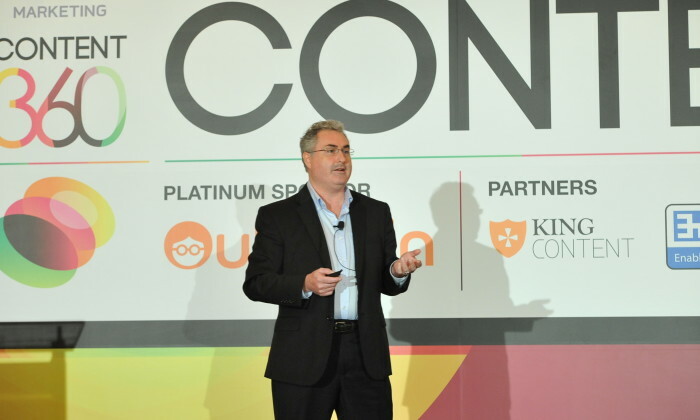 Kris LeBoutillier, digital content director of AP at Visa, added that having a global strategy trickle down to a regional level and then finally adapted to a local one drives deeper insights and generates closer conversations with those on the ground. What content creators have to remember is that content marketing is both editorial and marketing. While it is an arena that allows for more creativity and play, content created cannot, hence, simply go off tangent. “The content ultimately needs to be a part of the overall brand strategy,” he said. UM Singapore has appointed Russell Lai to the senior business director position. ..
IBM partners with Chinese University of Hong Kong to drive understanding and benefits of harnessing data-driven marketing. .. In a strategic repositioning of its mobile application, Yahoo Hong Kong has reimagined some of the most trending local topics from..